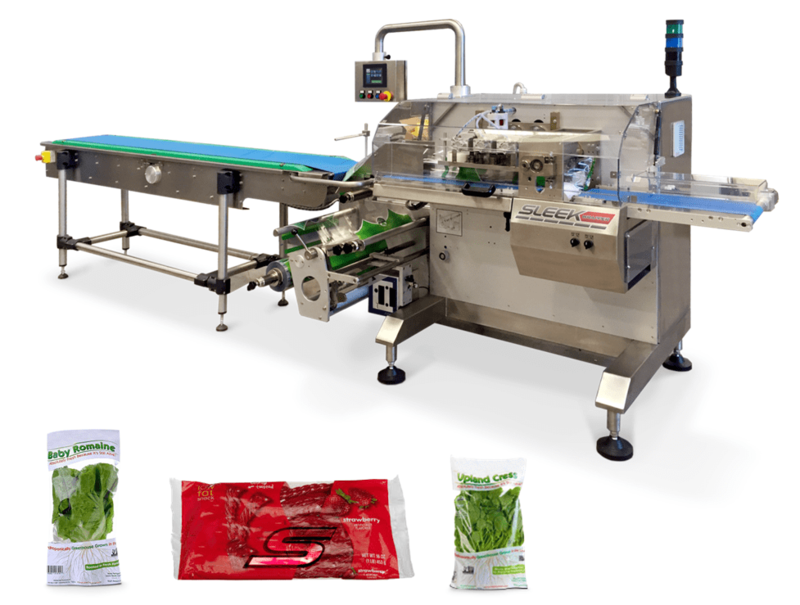 The servo-driven Sleek Inverted is engineered to handle soft, sticky, or multipack products that may be difficult to push with the traditional lug chain design found on most conventional flow wrappers. With the Sleek Inverted, product is securely carried on top of the packaging film from the former to the cutting head. The Sleek Inverted produces up to 100 packages per minute with a maximum web width of 19.6” (500 mm) and is also capable of operating on a wide variety of materials including polypropylene, microperf, multilayer laminated, co-extruded, foil films, and more. These flexibility benefits make the Sleek Inverted the perfect flow wrapping solution for many products from meal kits, snack food, and produce to medical equipment and consumer goods.